This fresh spinach quiche is every bit as delicious and decadent as it is a carb filled predecessor, one without a crust which actually leaves more room for the cheesy and creamy low carb foods that we love. 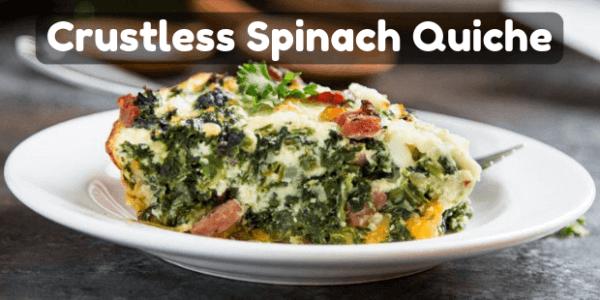 Each delectable bite of this crustless spinach quiche is loaded with the most perfect quantity of veggies and cheese, to help ease your guilt just a little bit. It works pretty well with a cup of tea or coffee. You will be surprised by how much you and your family will love this quick crustless quiche. As you would know, basic crustless quiche recipe has eggs at its core. 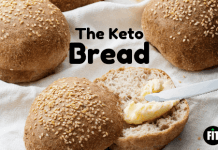 The remaining ingredients are pretty much flexible, and you can swap them according to what you desire. 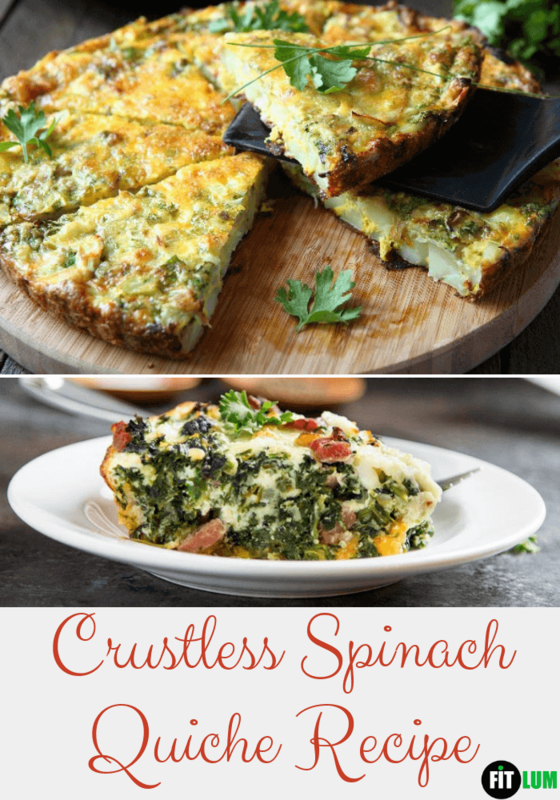 You can edit this recipe to make other spinach quiches such as crustless spinach mushroom quiche and crustless spinach feta quiche. the mushrooms and onion, until tender. Add ham and spinach. Stir or cook it until the extra moisture is evaporated. In a bowl, combine beaten eggs and cheese and mix properly. Then add in pepper and the spinach mixture. Blend it well. Grease a 9 inches quiche dish or pie pan. In it spread the mixture. Bake for 40 to 45 minutes at 350° or until a knife comes out clean when inserted in it. To make a perfectly cook spinach quiche, keeping checking it before the total baking time to know if it is cooked early. Grate or shred extra melty cheese yourself. You can use aluminum foil to cook your quiche evenly and keep it moist.